In a colossal deal, Microsoft Corp. has entered into a definite agreement to purchase LinkedIn Corporation for $196 per share in an all-cash transaction valued at $26.2 billion. Post transaction LinkedIn will retain its distinct brand, culture, and independence. Here are a few of the important acquisitions over the past in Tech sector. Microsoft was founded by Paul Allen and Bill Gates on April 4, 1975, to develop and sell BASIC interpreters for Altair 8800. It rose to dominate the personal computer operating system market with MS-DOS in the mid-1980s, followed by Microsoft Windows. The company’s 1986 initial public offering and subsequent rise in its share price created three billionaires and an estimated 12,000 millionaires among Microsoft employees. 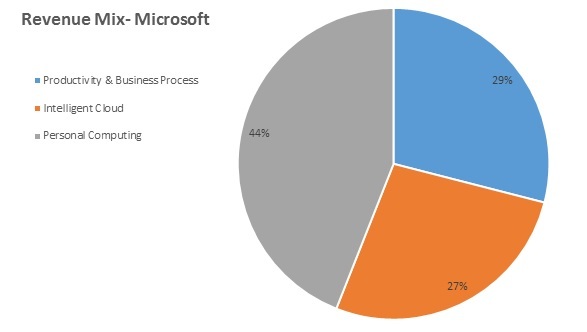 Upon closing, Microsoft expects LinkedIn’s financials to be reported as part of Microsoft’s Productivity and Business Processes segment. Incorporated in 2003, LinkedIn is the world’s largest professional network on the Internet with over 400 million members in over 200 countries and territories Members use LinkedIn as a platform to stay connected and informed, advance their career and work smarter. The revenue of LinkedIn is mainly through Field Sales (Offline Channel) and Online Sales. Offline channel is characterized by a longer sales cycle where the price can be negotiated, higher relative average selling prices, longer contract terms, higher selling expenses and longer cash collection cycle. While online sale channel includes premium subscriptions, talent solutions and marketing solutions, Jobseeker subscriptions, Recruiter Lite and self-service advertisement. This channel is characterized by lower average selling prices, availability of monthly contractual terms, lower selling costs, and a highly liquid collection cycle. Year on Year basis, LinkedIn’s Offline revenue percentage to the total revenue is increasing, Further, Learning & Development which comes from Lynda is about 4%. Further, its revenue percentage to the total revenue from Premium Subscriptions & Marketing Solutions are also falling. Over the last few years, LinkedIn’s total assets grew significantly mainly on account of goodwill ($1507 million in CY15 from $356 million in CY14) and property & Equipment’s ($373 million in CY15 from $131 million in CY14). The increase in assets is mainly financed through the issuance of notes and equity. Similarly, LinkedIn pays the substantial part of employees’ compensation as stock options. The deal will provide the opportunity to the LinkedIn’s employees to encash their ESOP’s. In 2007, Microsoft attempted a failed acquisition of Facebook for $15 bn. In 2012, Microsoft acquired Yammer Inc. an enterprise social networking site. However, this acquisition didn’t prove to be up to the mark for Microsoft. After almost 9 years LinkedIn acquisition can be seen as a success for Microsoft in getting a share of the social media pie. After failed attempt of acquiring Facebook, and not much useful integration of Yammer, Microsoft is looking at getting a big share of social media pie with a LinkedIn acquisition. Considering LinkedIn itself has catered to a niche segment of professional users, every user is going to be key equivalence for Microsoft. LinkedIn will bring with it 433 million users and over 100 million active monthly users, which would act as a booster for services like office 365 and Dynamics on which Microsoft is pegged to be placing huge bets. The LinkedIn acquisition could help Microsoft play to its strengths in analytics, machine learning, and artificial intelligence. Further, Sales representatives using Microsoft’s Dynamics software for managing customer relationships could pick up useful tidbits of background on potential customers from LinkedIn data. Further, LinkedIn’s connections can be used by the other Microsoft arms such as Skype. For LinkedIn, the Deal comes at a right time. The acquisition is likely to open a new vista for LinkedIn in the form of software development prowess that Microsoft brings to the table. LinkedIn is anyways struggling with its profitability. Despite increasing users, the number of acquisitions and niche clientele, its margins are decreasing day by day. Social media is a place where one need relentless changes to make itself splashy compared to your peers. With this deal, going forward, LinkedIn can offer its users many new services using Microsoft’s resources. Further, Microsoft being software giant, going forward LinkedIn can save significant cost on software development. Using the network of Microsoft LinkedIn can further reduce its Sales and Marketing cost. Microsoft has a poor record of making acquisitions pay. The software giant took a combined $13.9 billion in write-downs on its acquisitions of online ad company aQuantive (2007) and phone maker Nokia (2014). Even more, Microsoft has little to show for its $8.5 billion purchase of Skype (2011), though it doesn’t appear to have ever taken a write-down for that acquisition. Talking about the current deal, 50% premium seems to be very fat however considering the likely future benefits which Microsoft can drive if things go as per the expectations, one can say they bought LinkedIn at the fair price. Continuously declining profit margins of the LinkedIn is definitely a key concern which Microsoft has to tackle in coming years. The tech giant Microsoft has almost 15% RoE. It seems difficult for Microsoft to generate the same margin on its investment of $26.2 billion in immediate future. Microsoft will finance the transaction primarily through the issuance of new indebtedness. The reason for such could be with interest rates on government debt hovering near zero around the world, Microsoft can get credit cheaply that is why Microsoft is funding its acquisition with new debt even though it has more than $100 billion in cash & cash equivalent and short-term investment. Though apparently, LinkedIn’s deal looks like bringing together the world’s leading professional cloud and the world’s leading professional network, the deal will have an abysmal effect on Microsoft if in future it is unable to combine the synergies. Definitely, the deal will result in Cross-selling of products and synergies of operations which will results in increase profitability for both Microsoft and LinkedIn. The deal will bring many challenges which need to be addressed by Microsoft swiftly. Considering the cost of acquisition of per active user is $262, Microsoft +LinkedIn should generate substantial additional revenue to have the positive impact on Microsoft’s valuation. Generating $26 billion free cash flow even over a next decade will be the big challenge. LinkedIn pays the substantial part of employees’ compensation as stock option resulting in positive cash flow. In future, if Microsoft decides to give all employees’ compensation in cash with possibility much higher compensation, LinkedIn business will have to be funded thus determining the time frame within which this deal will be earning accretive for Microsoft’s stakeholders.